Comments: Eli actually steps up and talks to the girl he likes. He kind of stumbles a bit but forges ahead and keeps his cool. He really does make some a lot of progress. Two men after the twins find out against twins with powers they should have prepared better. Here to Marty discovers they have another power. They have lots of powers and they are shown enjoying that fact. Eli and Jennifer are starting up a relationship. Young love is blossoming. The two boys in this regard behave as young men do. Jennifer is a cute girl and drawn to show that. Overall the art in the comic is simple and basic yet it fits the story. The boys using their abilities in public may not be a good idea. Do they want to draw attention to themselves? 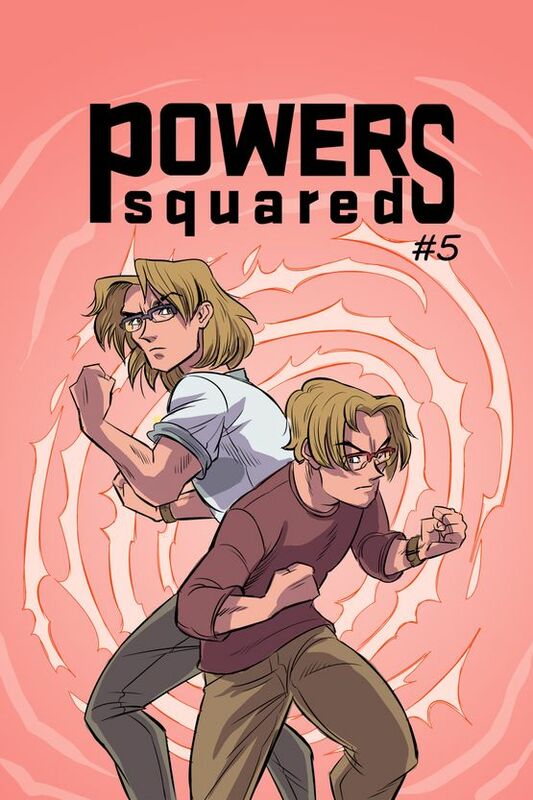 Marty and Eli are just starting out on their adventures as superpowered being and learning more about their abilities each day. How powerful are they?